In the wake of the reported senseless, heartless cutting of century-old acacia trees lining the national highway of the historic town of Guindulman, advocates of Boholanosâ€™rich socio-cultural and historical heritage have come up with a plan of conducting mapping of sites, for purposes of preservation or restoration. The joint-committees on environment, culture and arts conducted a meeting Wednesday, in aid-of-legislation, following a formal complaint filed by a certain Fred C. Amora, president of the Living Dreams Association, citing the cutting of the trees in his town. As this developed, invited resource persons Marianito Luspo, chair of the Bohol Arts, Cultural Heritage (BACH) Council and Enriquita Butalied, head of the Provincial Center for Culture and Arts Development, jointly urged that next time, local officials must also involved in consultation other sectors in the society when it comes to altering, or in this case, cutting of trees that had become part of their life and culture. Guindulman town got its name â€œguidomanâ€ meaning â€œdarkenedâ€ from travelers passing the area. Because of the majestic crown of green leaves and proud trunks of the tall acacia trees, the road in that part of the province was cool and shaded (dark). Luspo proposed to conduct what he called a â€œcultural mappingâ€ or an inventory of the sites and things considered part of our rich cultural heritage, including centuries-old houses and trees, in the province. â€œCultural mappingâ€ could be the basis for protection and preservation effort so that cultural heritage and their aesthetic values may be saved for the next generation. 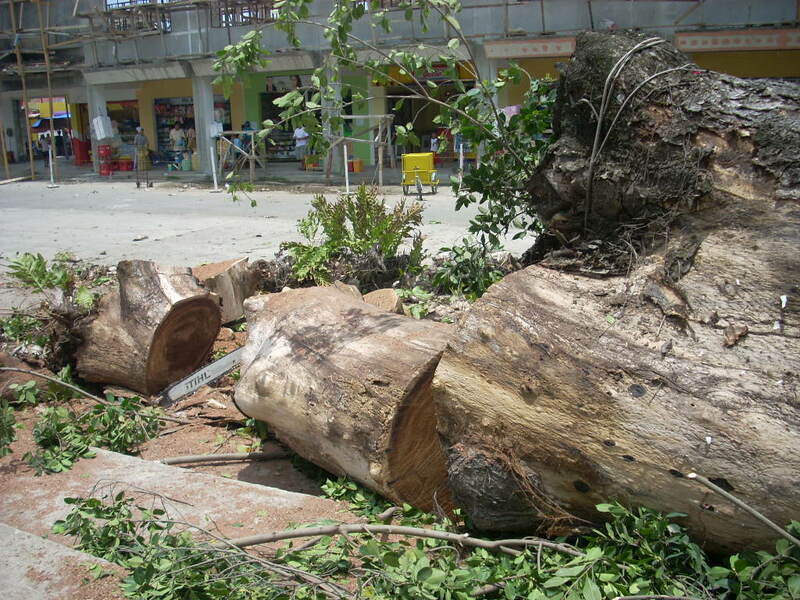 The LIVING DREAMS, a government-recognized peopleâ€™s organization based in Guindulman reported that four century-old acacia trees standing in front of the newly-built public market were cut on August 19, 2009, two weeks before the September 8 town fiesta for the purpose of giving a prominent view of the building claimed by the municipal administration as its major accomplishment. 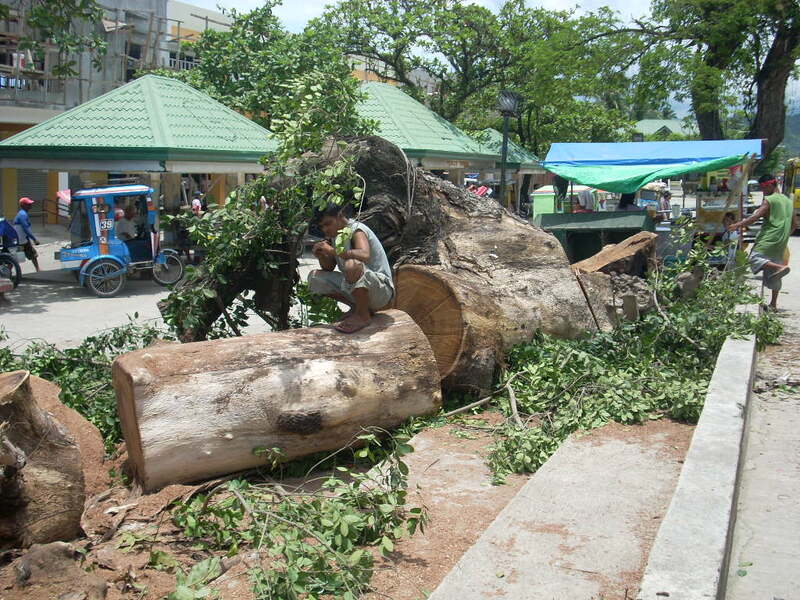 The cutting of the trees was followed by a day and night painting of the public market building and the installation of flood lights for all to see during the town fiesta season. But what caught the public attention, however, was the despicable sight of the tree trunks that remained out of the once-majestic acacia trees. Former mayor and now retired judge Atty. Lilio Amora said we will never see again in our lifetime those trees which stood witness of the townâ€™s struggles, trials and triumphs. The Pacific Consultant International (PCI), consultants of the Bohol Circumferential Road Improvement Project (BCRIP-2) did not recommend the cutting of the trees when the national highway road was built in 2006. Residents of Guindulman said it is illogical that the trees suddenly became a hazard after just three years when Japanese environmental and structural experts deemed the trees safe, part of the scenic sights along the national highways. Guindulman Mayor Ma. Fe Piezas did not refute the allegations that she ordered the cutting of the trees to give a wider view of the newly constructed public market. The lady mayor secured the help of other municipal officials to justify her actions which she admitted was a very â€œunpopular decisionâ€ noting the outburst of sentiment among town folks. E-mails from Boholanos living in other countries also flooded numerous websites when the new was posted in the Internet, all condemning the myopic foresights of some local officials. The decision to cut the trees was purportedly for public safety, first and foremost, than their preservation. She explained that the trees have been suffering from decay as can be gleaned from the colored photos she distributed during the same meeting. The trees cannot be saved anymore because they are dying, she said. In explaining the urgent need to uproot the trees by virtue of a special permit issued by the Community Environment and Natural Resources Office, the feisty lady mayor stressed that environmental preservation and cultural heritage are also part of her administration thrusts. 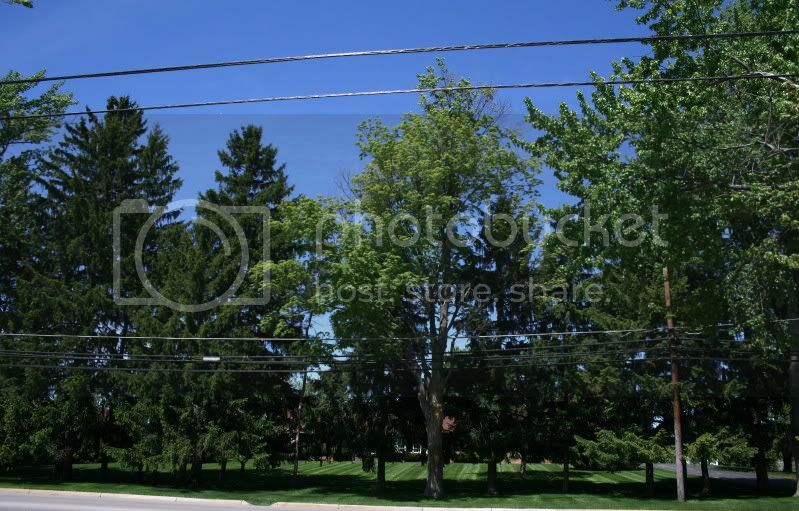 The decision to cut the trees was necessitated following several complaints reaching her office that the trees have already posed danger to the public considering their location nearby the public market. She was told that a lot of people have not been spared from falling branches of said trees. Though she took the responsibility of what she described as â€œnot a popular decision,â€ she said she had to do what must be done in the name of public safety. Mayor Piezas found an ally in Engr. Nestor Canda, provincial environment and natural resources officer (PENRO) of the DENR Bohol, who was also called to the said meeting. Canda told the meeting â€œthereâ€™s really danger because the trees have already cavities and their inner core is already hollow.â€ He said that the trees will eventually collapse so they really pose risk to the public. Penro Canda explained that every tree has a life span that may explain why the acacia trees bore â€œcavities,â€ signifying they are dying. But before issuing a special permit to the municipal government to cut the trees, Talibon-based CENRO conducted an inspection, Canda said. Pesent during the meeting include Vice-Mayor Marivic Golosino, Kag. Ephraim Licayan, DPWH Engr. Celestino Adlaon, CCADâ€™s Ekit Butalid, Executive Assistant to the Mayor Edgar Sarabosing and CENRO-Talibon forester Frank Lolong. Urgent? why all trees got sick at the same time including the young ones? You are all idiots including you all IRRELEVANT CENRO prople!!! I hope you would rot like the assumed rotten Acacia trees!!!! That century old trees should be replaced by century old trees, PERIOD! Guindulman officials, do something to replace it with at least 50 year old ACACIA TREES!!! This image i took this morning! these are our 60 some year old trees in front of our house! as you can see the one in the middle got sick but we tried our very best to save it! Do we need to cut those trees to show our house like what Guindulman has done to show their market??? No!!!!!!!!!! I dont care if no one would see our house but i dont want to trim our trees!!! you assholes!!!! Stupid excuses of idiots in the government. These trees were very healthy and strong. 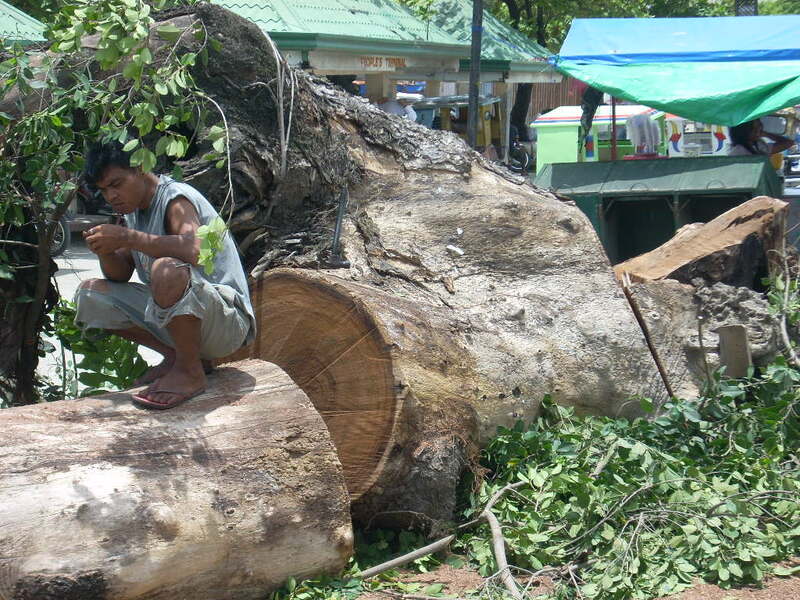 But the LGU of Guindulman wanted to cut these trees because they wanted to brag about their new public market. No More Stupid Excuses, Please. Ga hoot ang akong dughan gatan-aw sa akasya, porbida! Is Mayor Piezas really happy now? kalooy sa mga kahoy. nindot jud to tan-awn sauna labay-labay ko diha. anyway, kung wala pa ang mga pics gipost diri on how healthy the trees were, hapit na ko mutoo sa gipangsulti ni mayor kay sa valencia man gud, ang acacia duol sa grotto dako pud kaayo pareha siguro tug edad ini natumba sa gibagjo a few years ago kay gibukbuk na ang punoun. thanks sa pics mike, hapit na ko mailad. Are you sure you know what you're talking about? What did you say? Blame the DENR, not the mayor? Where is your logic? SHUT YOUR FUC***G MOUTH UP!!!!!! Who asked that fu***ng permit??? isnt it the STUPID MAYOR??? YOu too are a PATHETIC IDIOT!!!! I pity your logic teacher in college. Husband and wife went to a judge and asked him to sign a divorce paper. Later, the couple blamed the judge for signing the divorce paper. See the logic? By the way, where did you obtain your college diploma? Hoy lami man diay diri sa tubag bohol no kay mahibal-an nato ang mga issues sa atoa. dili na lang ko musumpay mdb kay murag enough na ning post nimu. That is not an EXCUSE. THAT SHOULD NEVER BE CUT and no one should be allowed cut a 100 year old tree, period! mas piskay ang guindulman unta kun kahibawo pa ang mayor motawag ug tree doctors. kun kining mayora doctor ug tawo, naa pod bayay doctor ug kahoy bisan mas talagsaon ni sila kay sa doctor ug kabaw. hapdos tuod paminawon bisan di ko taga-guindulman. any old tree cut anywhere is humanity's shared irrevocable loss. wa lang gyod tingaliy nakasulti niya nga mas guwapo tan-awon ang old trees kay sa bag-ong building. unsa tuod ang iyang campaign slogan karon? today the trees, tomorrow the necks?